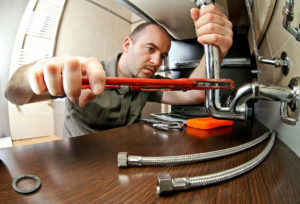 Each plumber and electrician at Altitude Facility Services are highly trained, experienced and specialize in a broad range of commercial, residential plumbing and electrical services. From installing electrical wiring, breaker panels, surge & lightning protection and lighting to identifying the source of your drain and plumbing problems and providing reliable repairs. Maintaining your electrical and system is critical to avoid problems and to providing a safe work home environment. With Altitude Facility Services, you will get the very best care on proper installation and repair services in the plumbing and electrical industry. So if you find yourself needing a good plumber or electrician, call us today at 303-688-ALTA (2582) and ask for a free quote. We will be happy to give you the most accurate quote for your project.